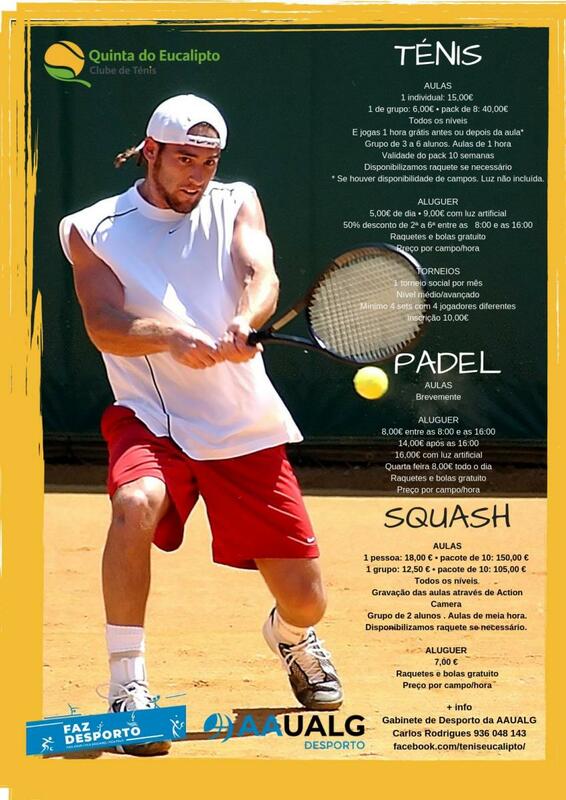 The Students Union Sports Department, promotes all kinds of sport activities with very low prices for students. You can choose from Salsa to Hip-hop, from Tai Chi and Yoga to Bujinkan, from Basketball to Football. 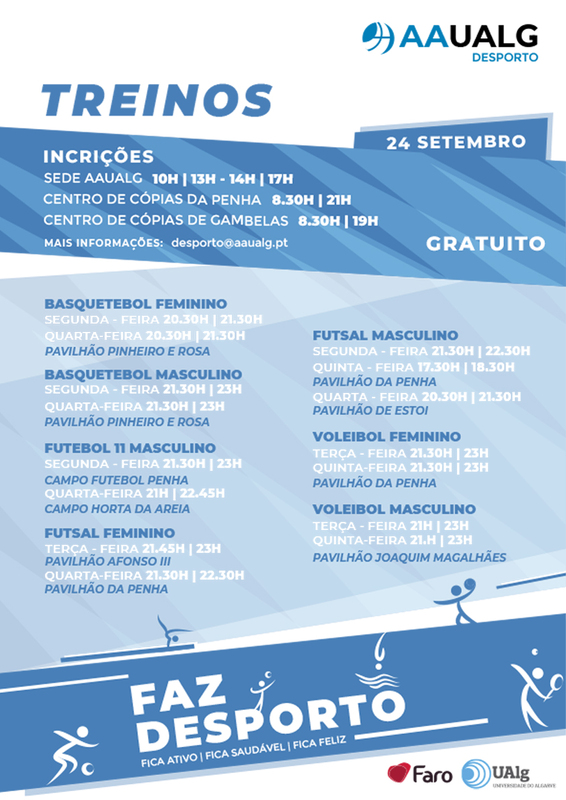 The Sports Department of the Student Union also organises water sports activities such as canoeing, windsurfing and sailing are free of charge at the Nautical Sports Centre at Faro Island (Centro Náutico da Ilha de Faro). Competitive sports include handball, women’s futsal, women and men’s volleyball and men’s rugby. Federated teams (district championships) are active in men and women’s basketball, men’s futsal and men’s football 11. Those interested in joining one of these teams must attend the training place at the indicated time. 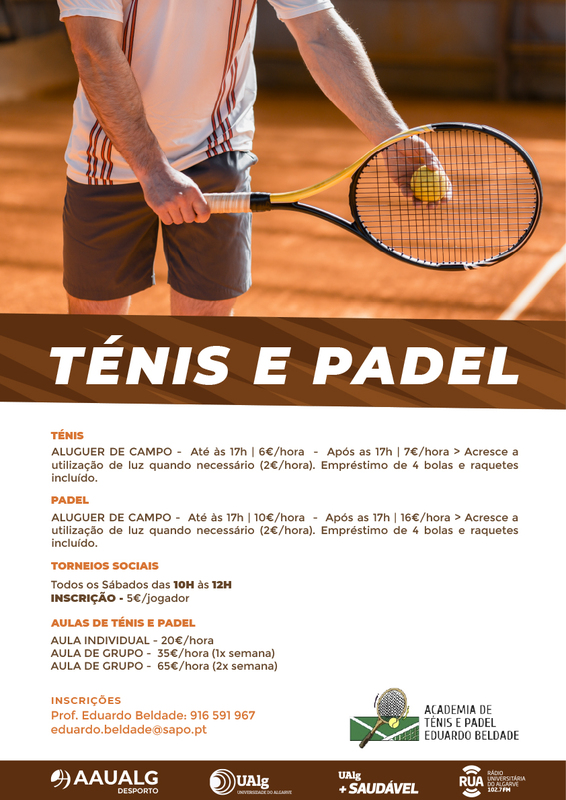 These trainings serve to prepare our teams for the National University Championships. In order to take advantage of these conditions and to register, you must present the Student Card or proof of student status. 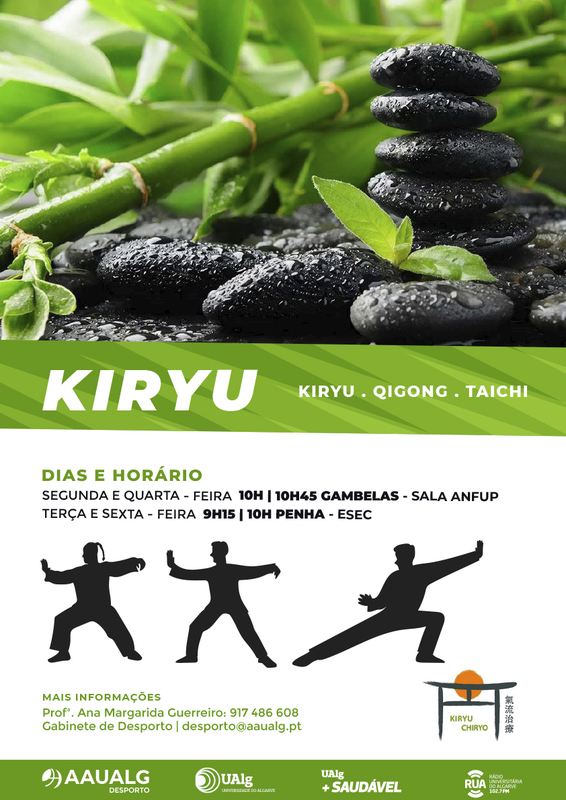 Schedule: Monday and Wednesday, from 19:00 to 20:00 - 20€/month. ​​​​​​​In order to take advantage of these conditions and to register, you must present the Student Card or proof of student status. 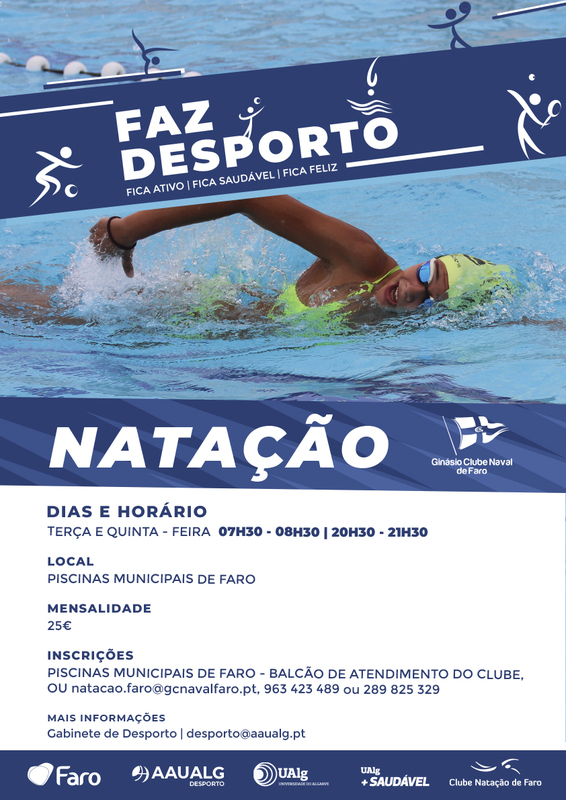 Schedule: Tuesday and Thursday, from 07:30 to 08:30 and from 20:30 to 21:30, in Municipal Pools of Faro. Inserted in the "Programa Nacional de Marcha-Corrida", the AAUAlg will participate in six events arround Algarve. The first hiking will be on the 7th October in Portimão, to participate you will have to register 3 days before the date of the hiking through the desporto@aaualg.pt or at the Sports Office of the AAUAlg. The registration fee will have a value of €2, which reverts to the Solidarity Office of the AAUAlg, which entitles the transport to the hiking place and the return to university. 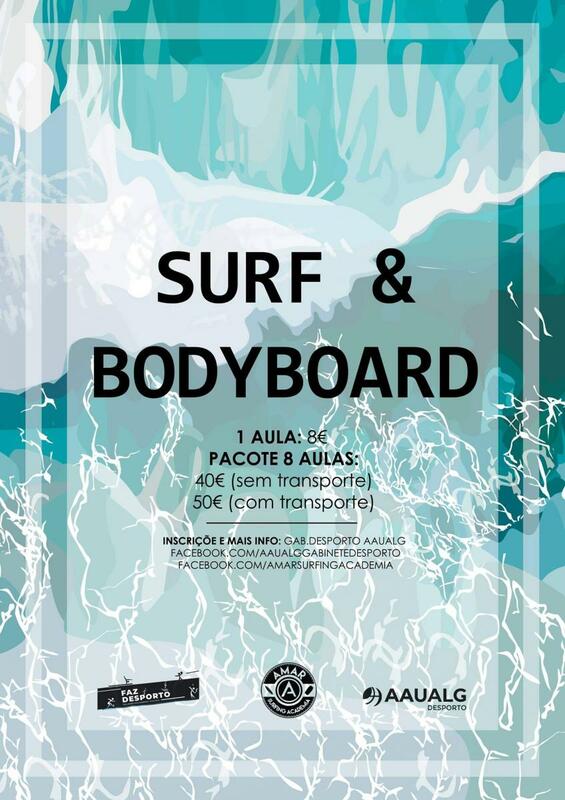 The Student Union of the University of Algarve (Associação Académica da Universidade do Algarve, AAUALG) is a representative body of all the students belonging to the institution, founded on 1st October 1997. The importance of sports and the physical balance and psychological well being of university students is a concern of the Student Union. For this reason, sports activities are under the auspices of the Student Union in close collaboration with the University and the Student Support and Welfare Services. - The University Student Union Mini-Half-Marathon.